Did you know that MS Awareness Week is nearly upon us? It is held March 2nd through the 8th and there are a variety of ways to get involved. For instance, check out the walkms.org and bikems.org sites to find events in your area or the nationalmssociety.org site for other ways to get involved. Multiple sclerosis is a disease that hits close to home for me and was one of the reasons we at ECOBAGS.COM decided to start offering our Bug Bags which give 20% of profits to MS research. 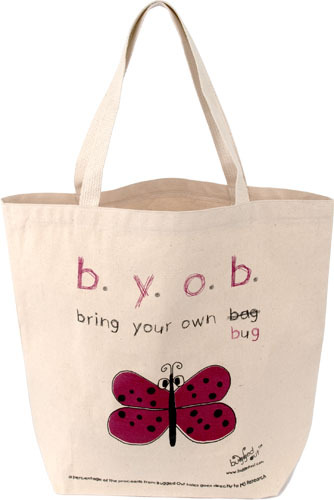 All 3 models of Bug Bags have been a hit on our site due to both their adorable images and their important contribution. I look forward to taking part in our local walk. Spending a day out in the fresh air for a good cause, what could be better?